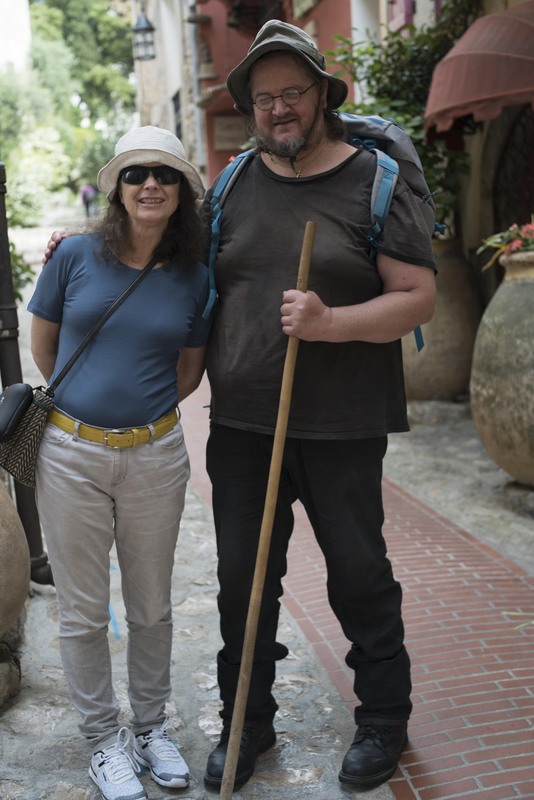 Yesterday on our way to the Cannes Film Festival, Jennifer and I met up with Julian Lord, who is the truest pilgrim I know. Many of you might know Julian from this blog. He posts comments under the name JabbaPapa. He’s highly intelligent, very strong in his religious views, and most other views too! – and makes for a bracing presence on this blog. I always have to switch my brain into gear when I respond to one of his comments. We met Julian for drinks late yesterday, and then we had dinner. It was a delightful evening, full of vigorous rambunctious conversation. We agreed that we agree on most things, it’s just that we articulate those things differently. The Postulate is the pilgrim who hears the call, doesn’t really understand why he or she is called, but responds to the call nonetheless. Every pilgrim starts out as a Postulate. The Apprentice is the pilgrim that, having done the journey, begins to question why he or she is called, yet finds no answers. The Journeyman is the pilgrim that begins to understand the why, and can begin to answer those questions that confound the Apprentice. And the Master is the pilgrim who can tell others why they are doing the journey. I asked Julian which category he fitted into, and he rightly and humbly said the Master. I then asked him what category I fitted into, and he said Journeyman. I loved that – because in my film PGS – Intuition is your Personal Guidance System I actually describe myself as a journeyman. Now, it was late into the evening when Julian described these categories to me, and by that stage we’d had some wine or two – and so I might be a bit skew-whiff in my descriptions of the categories. I know Julian reads this blog religiously – haha – and so no doubt he will correct me or elaborate further on these four categories. But I found the delineations fascinating. 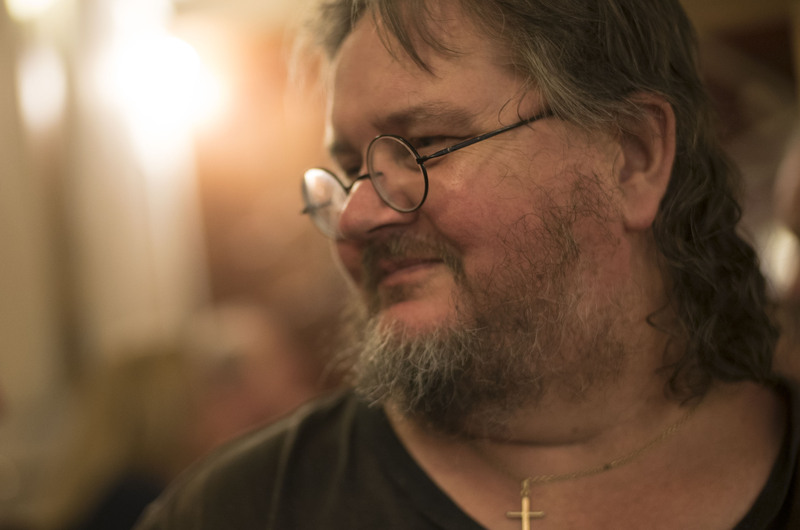 Julian is soon to embark on a long pilgrimage – possibly very long, from Fatima back to his home in Monaco, a journey of some 2500 kms. He has crook knees though, and still hasn’t fully decided – but like me with my “Front Door” walk next year, the pull is compelling and inexorable. wonderful. I really love the 4 stages….makes perfect sense. I wish Julian well on his marathon walk….2500kms!!! that’s about 1500 more than I would do 😉 I’m so looking forward to the people I will meet on my Camino. I’m normally a very antisocial (but not anti-people) person, enjoy my own company and can happily spend days on end without talking to or seeing anyone, so this walk is going to be very interesting….I wonder what lessons the Camino is going to teach me. Nice to put a face to Julian. Yes, he has been a fantastic contributor to your blog. PS: Enjoy your time with all the glitterati in Cannes. Sure you and Jennifer will fit right in. Safe travels. He has Steve – as have you! I love that you are at Cannes, it must be a spectacle! I am glad you stay outside the chaos. I am sure you will have some interesting moments and meet some interesting people. I love the idea of Journeyman all together. as it is a picture of moving forward with purpose and meaning. “cool”. June we go to Africa and I am very excited!! Its a birthday with a zero and so this was my big gift from Michael. we shall be journeymen of a different sort! HI Kathryn – Africa? How fabulous! I’ll email you separately so you can tell me more. A birthday with a zero? You mean forty?? Hello Bill – Just back from my first Camino, so your post is timely! Still clearly in the apprentice category, I still found the trek to be amazing, short as it was. Enjoy Cannes! Hi Bill – thanks so much for this wonderful post. Julian is so right in his view that there are four stages of being a pilgrim – what a gift to us all this view is. Thank you Julian. Julian – I send you my best wishes for your upcoming camino when you feel the time is right. also, no master would ever name themselves as a ‘master’. Think of dear Francis – he only named himself as a penitent. Also, this ‘stages’ thing – it is quite false for to clarify it one would have to add inner-stage stages, and then divide them with further inner stage stages – but there is no road, no path, no state to attain – the shock understanding that we do (or do not) get to is that we are already there, it is just that we have forgotten that – so there is only waking up, don’t you think??? Think of Yeshua – with his parables he never tells people what to do or what to think – he gives no answers – what he does is to tell a story in such a way that it leads the listener to make a logic leap – a Zen moment – and this removes blindness of heart from those who can hear – and not all can hear. David, welcome to the blog, and thank you for posting these fascinating commentaries. Julian I’m sure will relish the intellectual thrust and parry! And in Julian’s defence, as I mentioned in the original post, Julian put forward the details of these stages late in the evening, after a fullsome meal of wine, and I didn’t take notes. I should have. It only occurred to me later, when reviewing thenvening, that I thought it might make an interesting post. I guess what I’m saying is that I might have either misrepresented what Julian said, or not fully detailed all that he said. As I mentioned though, I look forward to Julian’s response. Mine? I think you’re both right!! hahaa – natural diplomat! I have been following your blog on and off for a while now – most interesting I have found. Buen Camino! Thanks David. And not so much a diplomat, but I knew when it’s best to step back and let greater minds, as I say, thrust and parry! Thanks for your kind words about the blog. It’s not always Camino related, but I try and bring it back on point as much as I can.